Normally competition regulators use measures of market concentration such as the Herfindahl-Hirschmann Index (HHI as an important measure of whether mergers should be allowed. This is obtained by summing the squares of the market shares of the participants. 10,000 would be a perfect monopoly while a score approaching zero would be close to that ideal of economists, perfect competition. Any score above 2500 would indicate a highly concentrated market though regulators would also take account of other factors as well. These include barriers to entry and new technologies in trying to assess whether historical market shares are a good guide to future pricing power. On the basis of the HHI, Singapore’s telecoms market is thus highly concentrated with a score approaching 10,000 since the Government has a significant stake in all three players and outright control of the biggest two. When all three Telco providers are either owned by the Government or the Government can be said to exercise significant influence over their management and strategy, how is it possible for the Government to say it is committed to ensuring fair competition? In addition surely it is not believable that the Government can be relied upon to regulate itself when its clear economic interest lies in ensuring that all three companies maximise profits by not competing on price. Is it any coincidence that Singaporeans pay significantly above what UK consumers pay for mobile phone usage (between 50% and 100% more based on a simple comparison of price plans)? Singapore consumers also often have to pay for their phones whereas these are bundled into other countries’ price plans, making the deal for the consumer worse than the headline figures might suggest. The situation is even worse when comparing pre-paid plans, which are used by the less well-off. This extends to international roaming, where up till now there has been no regulation to protect consumers. The solution lies not in relying on the Government to do the right thing and regulate itself but to sell off the majority stakes in the three Telcos so they no longer have a common shareholder. At the same time the Competition Commission of Singapore (which is ever eager to come down hard on Indonesian maid agencies but displays a strange reluctance to investigate government monopolies) needs to be strengthened. Its workings should be more transparent. A start would be more hearings on matters of public interest to which consumer organisations would be invited to make submissions. Despite the industry regulator, the Infocomm Development Authority (IDA) having lifted all restrictions on the number of licences granted for telecoms business since 2000, we strangely still have an industry which is wholly dominated by government-linked entities. What has happened in telecoms is not an isolated instance but applies to a whole range of domestic industries and utilities, where the Government is either the sole player or controls, directly or indirectly, a significant part of the market. We can start with land, where the Government owns approximately 79% and of course housing where the HDB is the developer, the builder and together with CPF, most often the lender for the houses most of us live in. Public transport is a duopoly between SMRT, a Temasek-controlled corporation, and SBS Transit, where the major shareholder is NTUC, a government-linked cooperative. 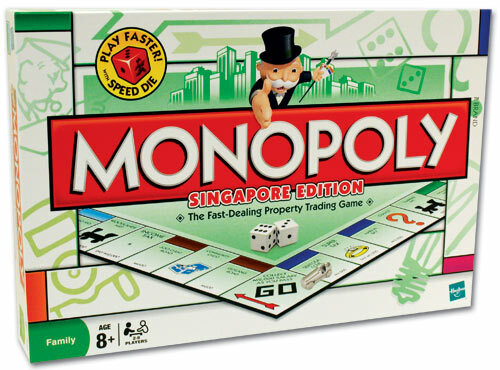 Other domestic industries in which the government or government-linked entities have a significant economic interest or a monopoly are food retailing (NTUC), banking (DBS and StanChart), electricity supply and distribution, retail and office space (CapitaLand and CapitaMalls), airlines (SIA and Silkair), shipping (NOL) and media and newspapers (Mediacorp and SPH). So is the Minister merely being hypocritical when he talks of wanting to ensure “fair” competition or does he really not understand the corporate structure and shareholdings of the companies involved and how markets work? Perhaps this is just another Singaporean example of Newspeak, to invoke George Orwell and 1984, and in Singapore “competition” means monopoly. Given the Government’s dominance in the economy, how does Singapore get rated year after year near the top of certain indices of economic freedom. There is of course no such thing as a completely free market, and I believe that a certain amount of government intervention is required because of market failure. But, even so, Singapore continues to be cited as an example of free market success when it is much closer to state capitalism of the Chinese variety. At our stage of development such policies have outlived their usefulness and are actually holding us back. A complete break with the policies of the past is needed in the economic sphere just as much as in the political one.